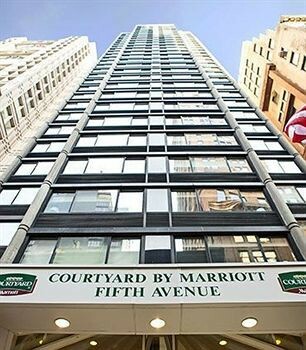 Property Location With a stay at Courtyard by Marriott New York City Manhattan Fifth Avenue in New York (Midtown East - Grand Central), you&apos;ll be minutes from New York Public Library and Grand Central Terminal. This family-friendly hotel is close to Chrysler Building and Empire State Building.Rooms Make yourself at home in one of the 181 air-conditioned guestrooms. Complimentary wireless Internet access is available to keep you connected. Private bathrooms have designer toiletries and hair dryers. Conveniences include phones, as well as safes and desks.Rec, Spa, Premium Amenities Take advantage of recreation opportunities such as a fitness center, or other amenities including complimentary wireless Internet access and concierge services.Business, Other Amenities Featured amenities include complimentary high-speed (wired) Internet access, a business center, and limo/town car service.